633 Baden Ave South San Francisco, CA. | MLS# 470648 | Andrew de Vries, Probate Real Estate, San Francisco Probate Real Estate, Oakland Probate Real Estate, Berkeley Probate Real Estate, Alameda Probate Real Estate, Lafayette, Contra Costa Probate Real Estate, Probate realtor, Probate agent, Probate Broker. Just Sold - 633 Baden Unit K, South San Francisco - Listed for $479,000, Just Sold for $500,000 in 3 Weeks with Multiple Offers! 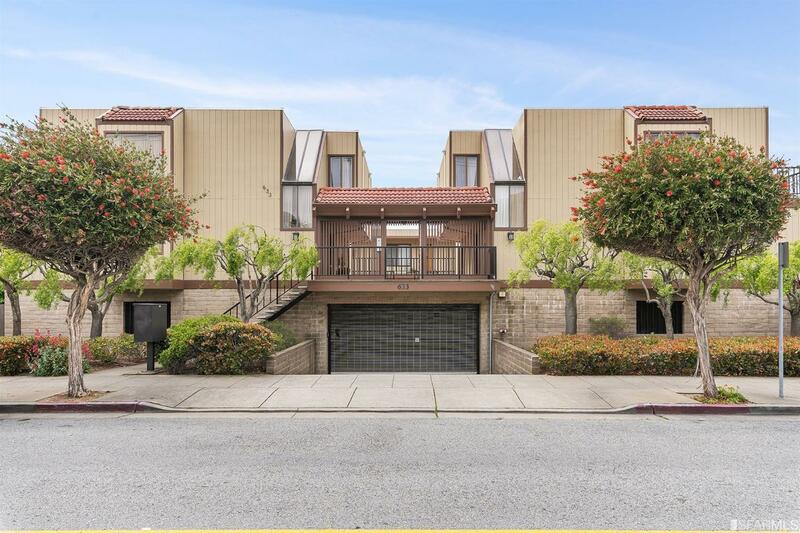 - 633 Baden Unit K in South San Francisco was a top-floor 1BD/1BA corner condo located in the heart of South San Francisco, close to shopping, dining, and easy commute access. The freshly painted and carpeted South-facing unit boasted a bright open living room/dining room combo with a large deck and adjoining kitchen with breakfast bar, a good-sized bedroom with outdoor access and views via its own balcony, and an ample bath. Additional outdoor common spaces, low HOA dues, storage and TWO deeded parking spaces in the enclosed garage completes this rare offering conveniently located close to SF, Oyster Point, CalTrain, Silicon Valley and more. I provided all property preparation (painting, repairs and carpets) for Administrator of an Estate selling on behalf of heirs. ----------------------------------- 633 Baden Unit K in South San Francisco is a top-floor 1BD/1BA corner condo located in the heart of South San Francisco, close to shopping, dining, and easy commute access. The freshly painted and carpeted South-facing unit boasts a bright open living room/dining room combo with a large deck and adjoining kitchen with breakfast bar, a good-sized bedroom with outdoor access and views via its own balcony, and an ample bath. The unit's top-floor, end-unit location give a private home-like feel with easy access to the outdoors. Additional outdoor common spaces, low HOA dues, storage and TWO deeded parking spaces in the enclosed garage complete this rare offering conveniently located close to SF, Oyster Point, CalTrain, Silicon Valley and more!